The Trinity 2 MX is the most advanced digital gauge solution on the market. An eye-catching, 5″ capacitive-touch screen gives you the sharpest graphic display available so you can keep a close eye on your vehicle while improving the aesthetics of your dash. An all-new, high-speed, processor provides easy swipe gestures and navigation throughout the product resulting in a user experience that will be like nothing else in the automotive aftermarket. The T2 MX is the perfect addition for any for any supported OBD2 equipped car, truck, or SUV.” . 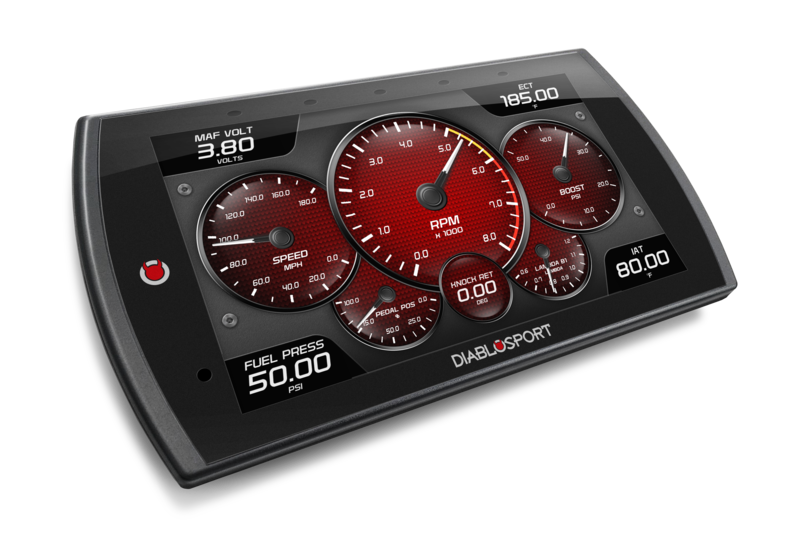 Analog gauges are a thing of the past as the Trinity 2 gives you expanded monitoring capabilities, diagnostics, performance tests, data logging, and a path to upgrade to a full-featured performance tuner (coming soon) with an easy internet update. With high-definition graphics, an industry-leading display, and legendary DiabloSport quality, the T2 is the best upgrade you can add to your ride. 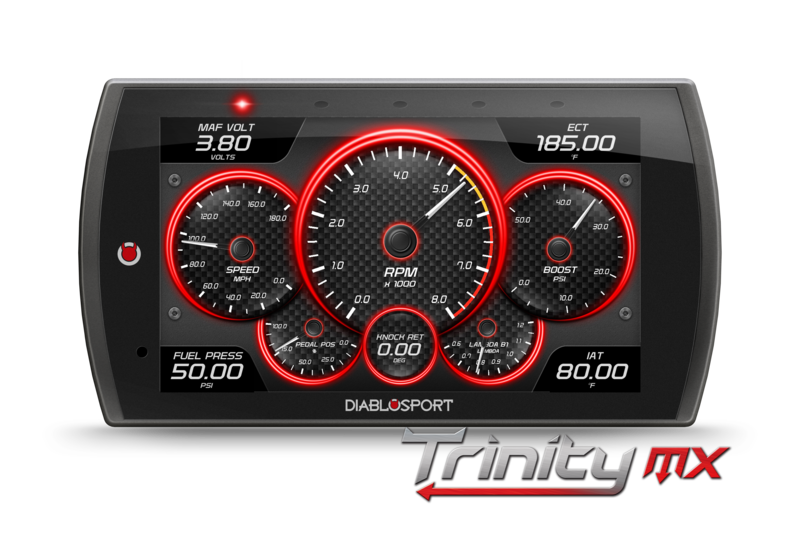 The Trinity 2 MX is the most advanced gauge display on the market, however, some car, SUV, and truck owners want to add power, mileage potential, and improved drivability. With the T2 MX, you are not stuck with just the best gauge display as it is upgrade-able into a full-featured, tire roasting, Trinity T2 EX performance tuner. The T2 EX upgrade is available anytime on our Internet update software store. Now your device can grow with you as your needs change. The upgrades options will be released during the summer of 2018. 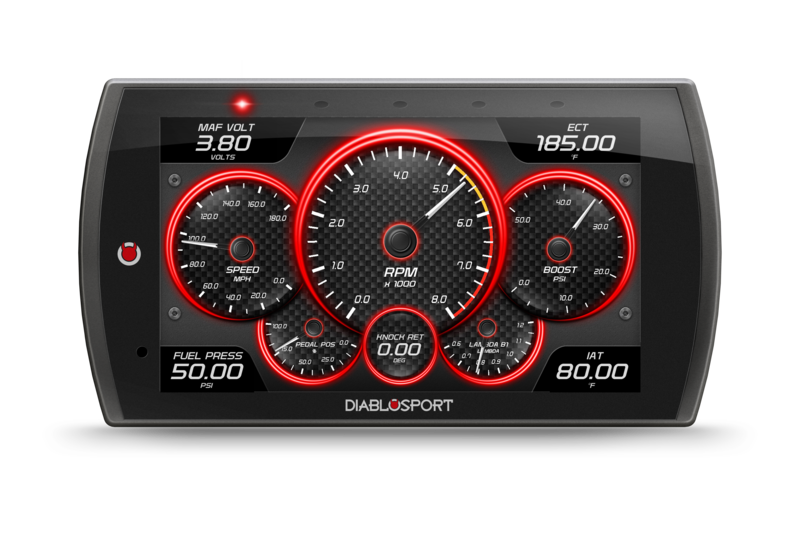 Having the best gauge setup on the market definitely satisfies the needs of most. The Trinity MX has the ability to go way beyond that with the Expandable Accessory System. The EAS product line allows you to add basically any sensor you can think of to your T2. 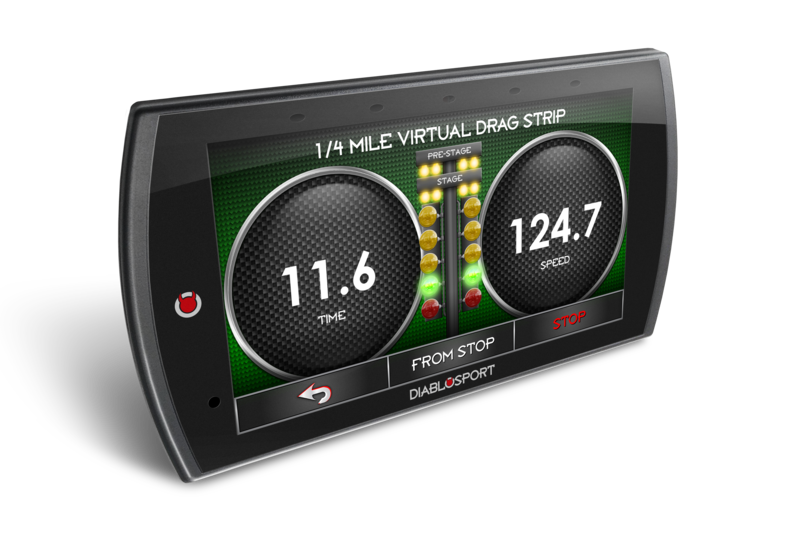 Wideband O2 sensors for your custom-tuned car or truck, EGT sensors for your diesel-powered towing machine, and basically anything you can think of that you want displayed on your monitor, the T2 can handle it. Now you’re not limited to buying bulky analog gauges because the vehicle manufacturer forgot that one important parameter that you need to keep an eye on!